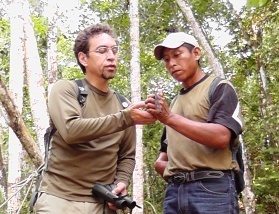 FUNDAECO Keeper of the Wild, Ricardo Coc Caal at work in the Laguna Grande Reserve. Photo © FUNDAECO. Thanks to support from the Keepers of the Wild appeal by the World Land Trust (WLT), a new ranger has been hired to help protect the Laguna Grande Sarstún Reserve in eastern Guatemala. This 1,623 acre (657 ha) reserve – owned by WLT partner organisation FUNDAECO (Fundación Para El Ecodesarrollo y la Conservación) – safeguards a unique system of lagoons, mangroves, and forest habitats. The new reserve ranger, Ricardo is 32 years old and lives in a village near the reserve. He walks for an hour and a half each day to the reserve; his main role is to patrol the protected area, on foot and by canoe, to make sure there is no hunting or illegal removal of timber. The reserve lies within an area that is thought to be the single most threatened habitat in Caribbean Guatemala region; less than 20 per cent of the area’s original forest remains, the rest has been logged and cleared for agriculture. It is a thriving habitat for diverse wildlife, from five big cat species that are found in this region, to the River Otter, the Mexican Black Howler Monkey, and West Indian Manatee. It also protects a vital border between Guatemala and Belize, helping to strengthen conservation efforts between the two countries. An important part of securing the long-term success of their conservation projects, FUNDAECO ensures that local communities are actively involved. They work with the Q´eqchí communities, who live to the south of the reserve, to develop a wide range of outreach activities, including environmental education. 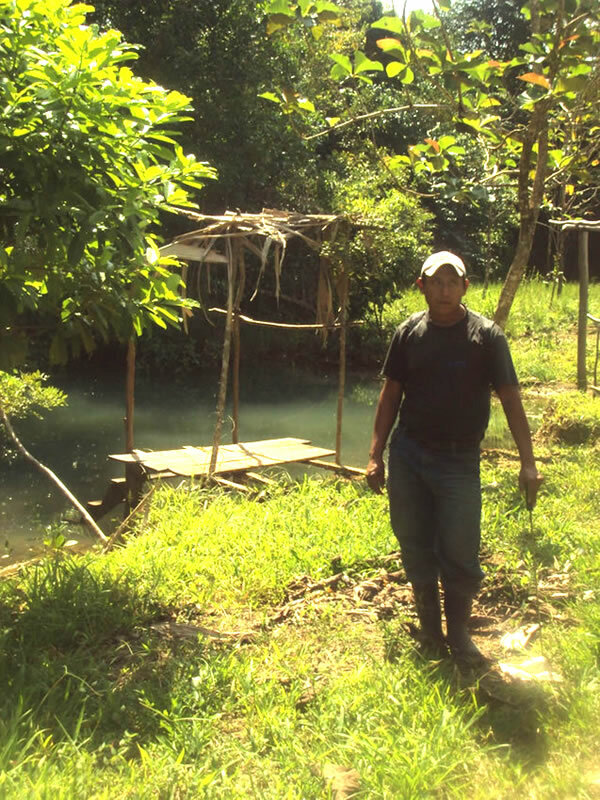 FUNDAECO are also creating alternative employment opportunities; two successful projects so far include the training of Q’eqchí women as tourism caterers and working with local fisherman to set up aquaculture to farm native fish species, with the aim of moving away from over-exploiting wild fish and further depleting populations. Providing alternative employment opportunities offers local communities greater financial security and reduces the likelihood of local people encroaching on to the protected reserve to carry out illegal resource extraction, such as cutting timber. Ricardo’s interest and experience in working with local communities will be of great benefit; he has undertaken several training programmes to help promote local development, from training as a rural health promoter to teaching reading and writing. He has volunteered on a Teach and Write Q’eqchi programme, to help enrich his own community. As with all the rangers funded by our Keepers of the Wild appeal, Ricardo will post regular updates on our website about his plight to protect threatened habitat and wildlife. To help protect threatened habitat and wildlife in Guatemala, donate to our Buy an Acre appeal for as little as £25. This will save real acres, in real places.